Joining the Buckeyes in Cavazos’ top six are Oregon, LSU, Florida, Miami, and Georgia. Cavazos (6-1 190) is ranked the No. 22 safety in the 247Sports Composite and the No. 288 player in the 2020 class overall. ESPN ranks him as their No. 9 safety. At a recent combine, Cavazos ripped off a 4.40 40-yard dash, a 4.16 shuttle, and posted a 43-inch vertical leap. Cavazos could end up at safety or cornerback for the Buckeyes and possesses the size and athleticism to succeed at either spot. For IMG Academy last season, Cavazos played cornerback and safety. In his highlights below, when he was at corner he would show press man, but was also comfortable bailing out. When IMG was playing with two deep safeties, Cavazos stayed at corner. When they went with one high safety, it would be Cavazos as the last line of defense who was tasked with covering a wide patch of land. Run support doesn’t appear to be an issue for Cavazos either, as you can see in the highlights. 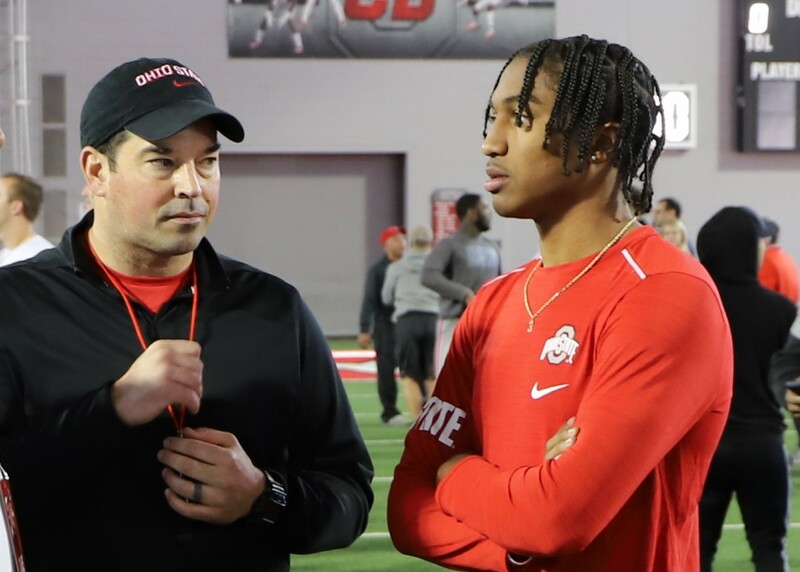 The Buckeyes are still looking for their first defensive commitment in the 2020 class. With 12 predictions submitted, Ohio State is currently the clear Crystal Ball leader for Cavazos. Because Ohio State only signed two defensive backs in the 2019 class — with both being safeties, landing a few cornerbacks in the 2020 cycle is a must. Cavazos would be a good start. The only surprise is that the Buckeyes made the same change when they hired Chris Ash. Remember how Ash said that his first goal was to simplify the defense, enabling the silver bullets to play more from instinct? Apparently Coach Meyer changed expectations of his defense when Ash left. That is a mystery. I was looking at my calendar from 2014 and that was one of the pieces I wrote back then because that’s what the players were talking about. I forget how that season turned out.